Not much diving in 2019 yet. Only been out once so far this year. 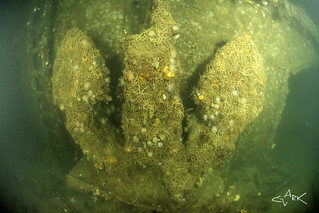 Here is an image of a large Anchor on the wreck of the Akka which lies in the Firth of Clyde. Hang in there more images will appear here soon.